Inside ZION, a youth hostel, that provides lodging and events for foreign travelers and locals. A patron at the music hall, Sintetik. 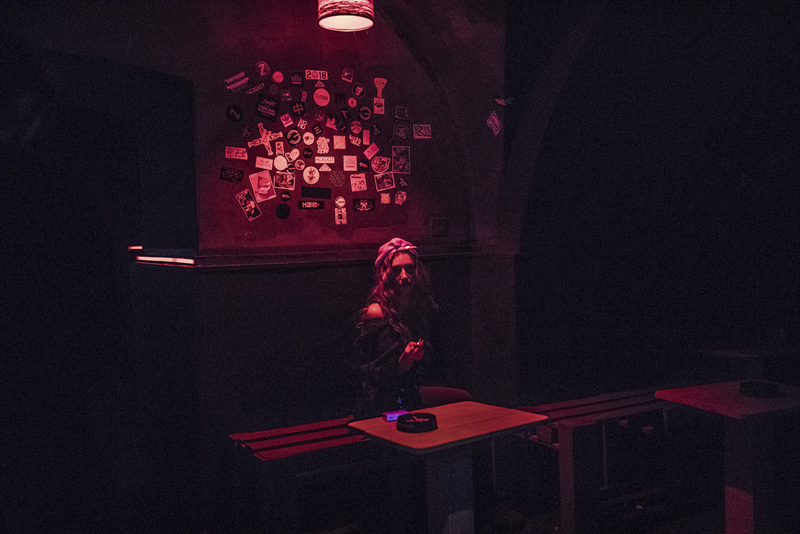 A DJ at Sintetik in Baku. 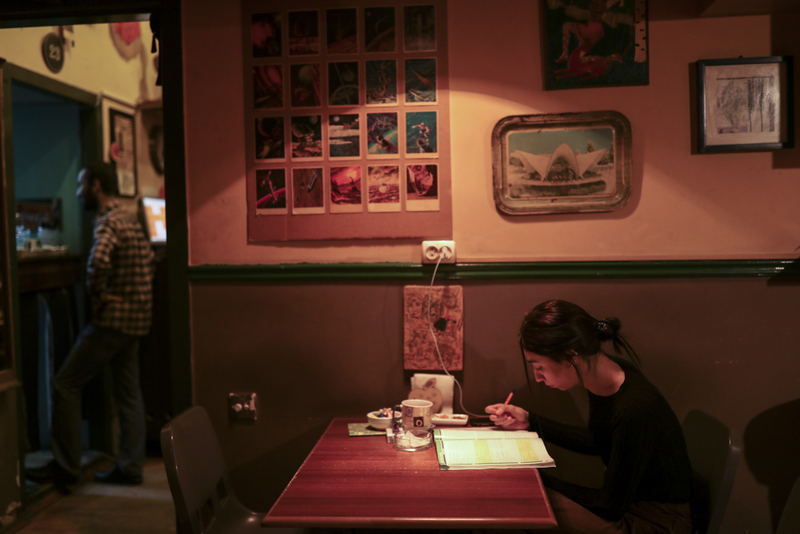 Coffie Moffie, a cafe run by young Azerbaijanis in Baku. 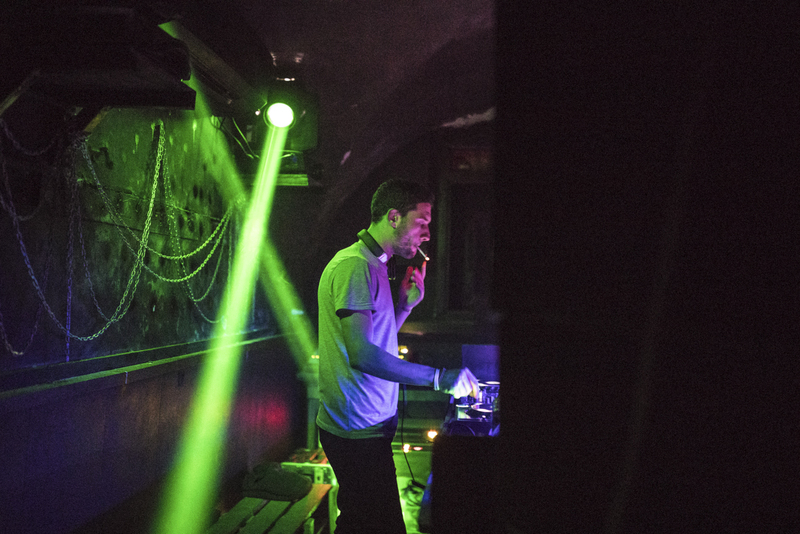 A DJ plays at Le Chateau. A tip jar at Le Chateau. Old School is a café and bar with vintage Soviet décor. People gather at Kotti Bar. 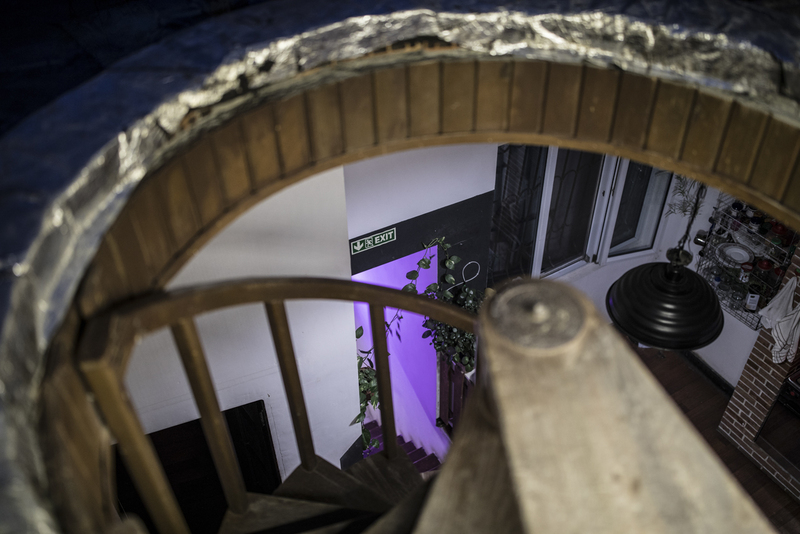 The bar was inspired by owner Araz Pashayev's time in Berlin. At Le Chateau Music Bar in a central Baku basement the music is loud, the lights are low, and the drinks are cheap. It’s a homey atmosphere and many in the crowd are regulars who drink Jägermeister shots as they listen to the band; the roster features local acts from metal to jazz. Over the last several years, the Azerbaijani government has used its substantial oil and gas wealth to remake Baku into a swanky Dubai-on-the-Caspian. The effort has transformed a large swath of central Baku. From the remade seaside promenade and the thoroughly scrubbed old walled city to Fountain Square and the pedestrian Nizami Street, the center is thronged with tourists and evening strollers. But just adjacent to that zone, another transformation has taken place. 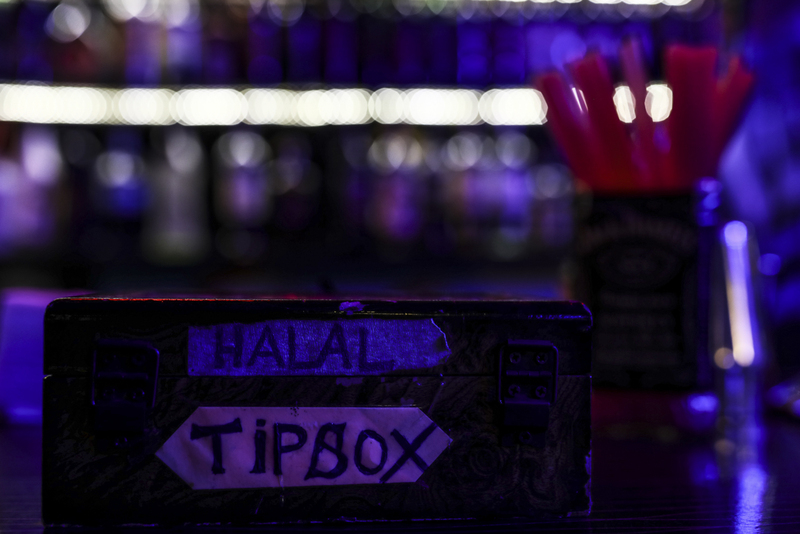 Over the past five years or so, a scruffy, hip neighborhood of cafés, pubs and creative spaces has sprung up just north of Fountain Square in a yet-unnamed neighborhood centered around Islam Safarli Street and encompassing Baku’s old Jewish district. The new enterprises include wine bars, coffee shops, live music venues, nightclubs, jazz bars, and “anti-cafés” where patrons pay to sit but can bring their own food or drink as they read or work. 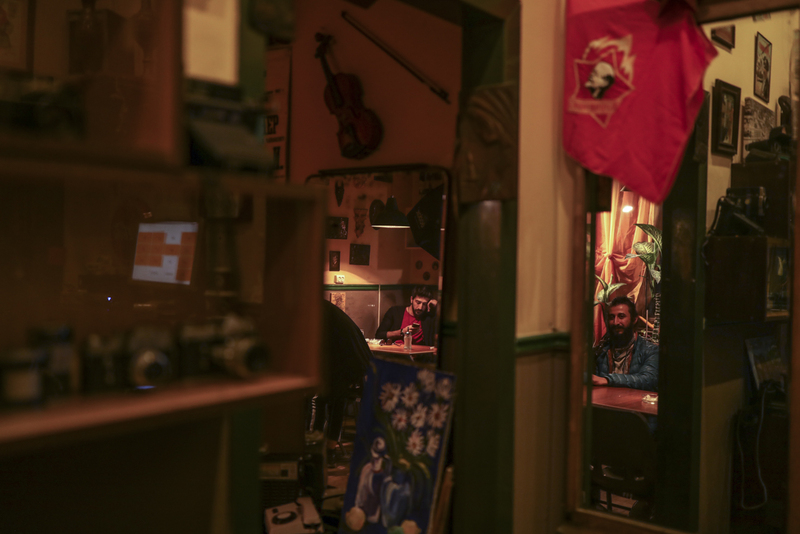 The area is thriving in spite of a multi-year economic crisis in Azerbaijan, and it has fostered a sort of independent creative renaissance in Baku that has attracted former emigres to return home. 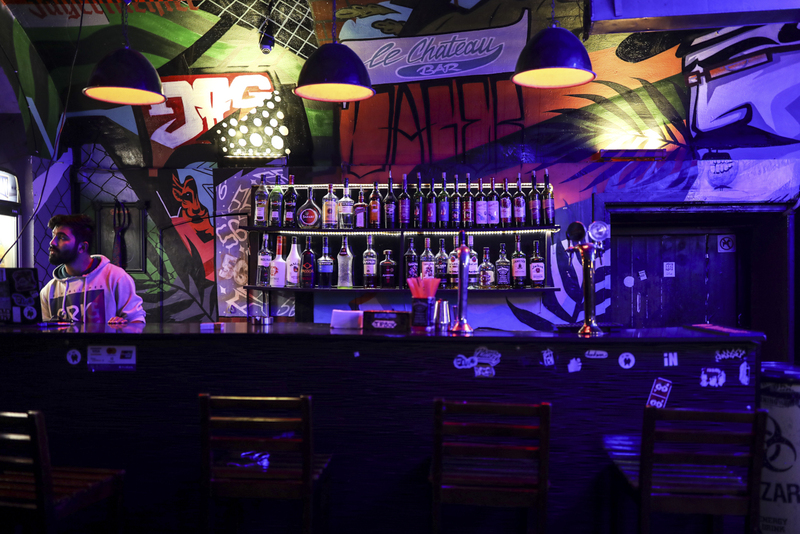 It wasn’t long ago that Baku had only a handful of cool places to hang out, of the sort to which young people in Europe – and closer to home, Tbilisi – had long been accustomed. There would be little choice but to gather in parks in the summer, or the cheapest teahouses they could find in the center. 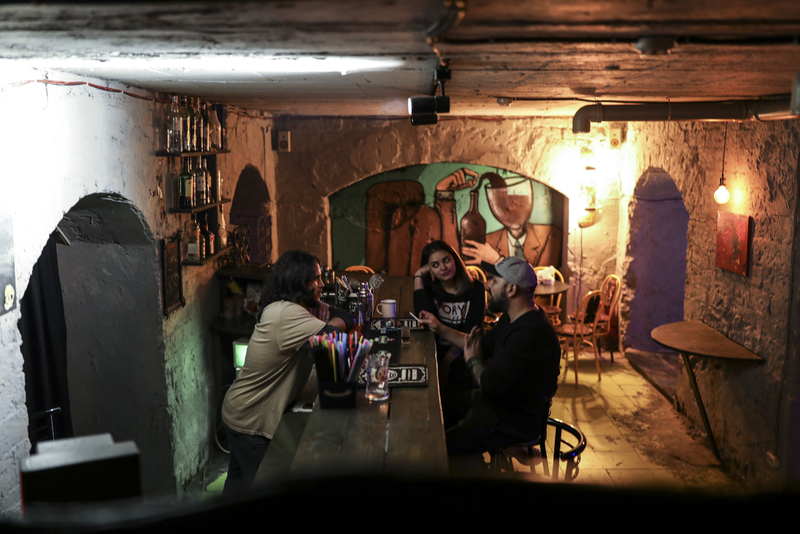 That began to change around 2013, connected to the country’s worsening political environment: Several of the first cafés and bars in the area were opened by former political activists who gave up that work as Azerbaijan’s repressive atmosphere became too difficult to manage. But since then the profile of these new owners and managers has shifted, and they are more apolitical. Azerbaijan has been suffering a brain drain of young, ambitious people who see little opportunity at home. 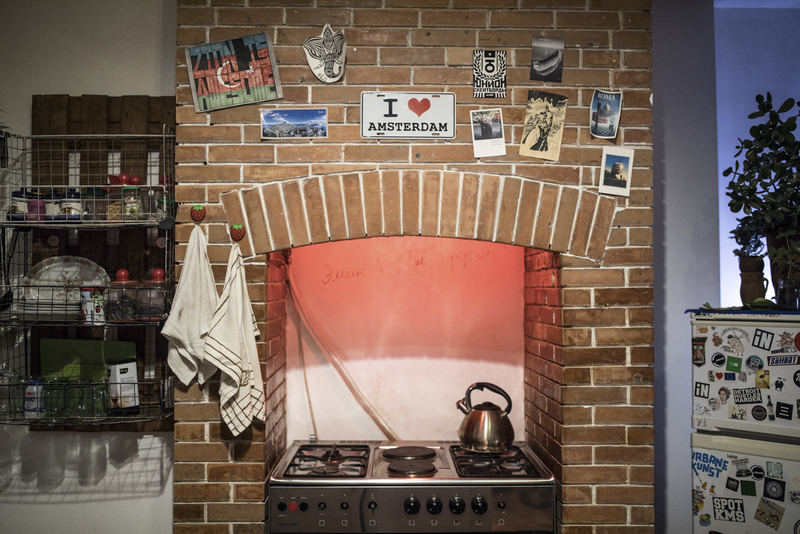 But anecdotal evidence suggests that the appearance of new spaces where creative people can feel at home is not only keeping young people in Baku, but drawing some emigres back. Twenty-eight-year-old photographer and artist Emin Mathers also recently moved back to Baku after several years in Prague and Istanbul. “The main lesson moving abroad taught me was that wherever you go, you take yourself with you. If your mood isn’t good, moving from the table to the couch doesn’t change anything,” Mathers said. 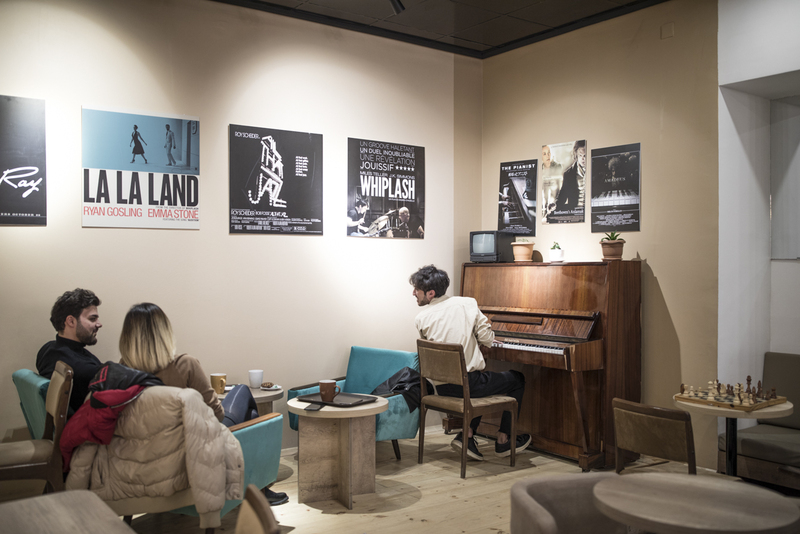 Back in Baku, Mathers and a friend renovated a 19th century building and in 2017 opened it as the ZION youth hostel, which not only provides beds for backpackers but open-air film screenings, literature and poetry nights, music performances, master classes and artist talks for both foreigners and locals. “If there is something that you want and don’t have, then you are really happy, because there’s something new you can bring to society,” he said. Not all of the new enterprises in this movement are located in the same neighborhood. 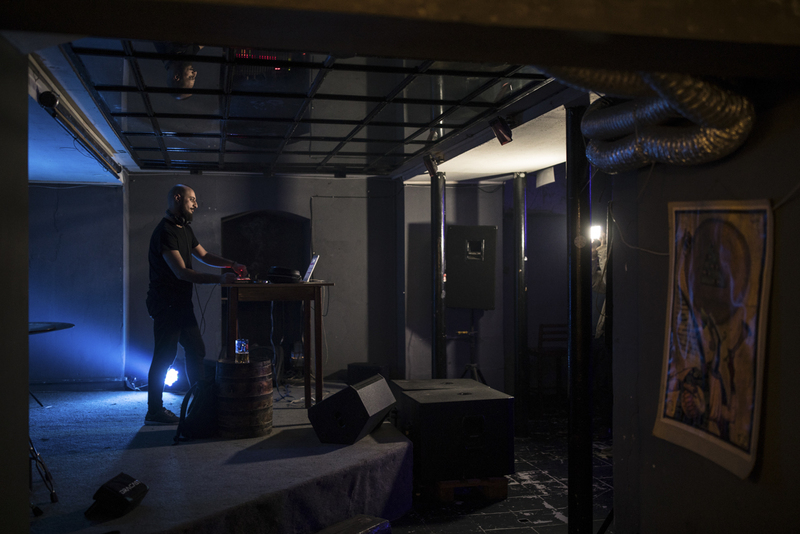 İN, in Baku’s suburban Third Microdistrict, is the city’s first electronic music club. The club opened in 2015, after several abortive attempts at other clubs around Baku. This version – in an abandoned paper factory– has caught on. The club now has space for 800 people and regularly features foreign acts. In December one of Europe’s biggest DJs, Abdulla Rashim, is slated to perform. Durna Safarova is a freelance journalist who covers Azerbaijan. Sitara Ibrahimova is a freelance photographer based in Baku.